Salmon Leather skins come in sizes ranging from 40 – 60 cm in length and 10 – 15 cm in width. Colours will vary depending on the particular tree barks or natural dyes that have been used. The salmon skin leather has been sourced from fisheries in British Columbia and the UK where the fish skins would otherwise have been discarded. 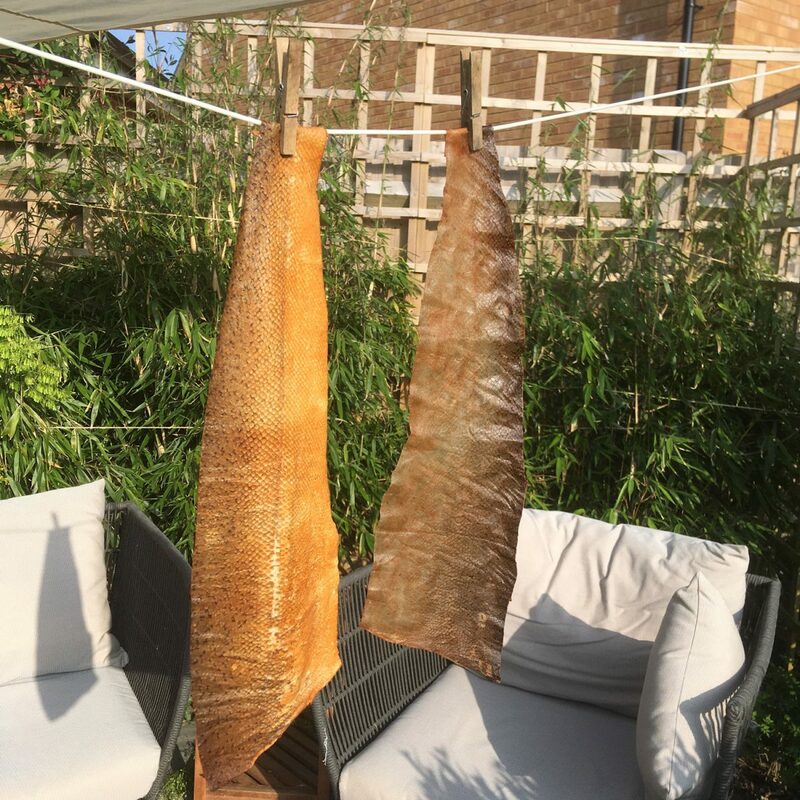 Please check back for our latest selection of naturally tanned and dyed salmon skin leathers.